It is from wikipedia, that we learn that Wilson had a "the deep Christian faith and asceticism by which he lived his life." In February of 1898, while studying medcine, Wilson contracted tuberculosis, due, it is said, while doing missionary work among the poor. Thus, he had to rest, and, he took the time to develop his skills as an artist. 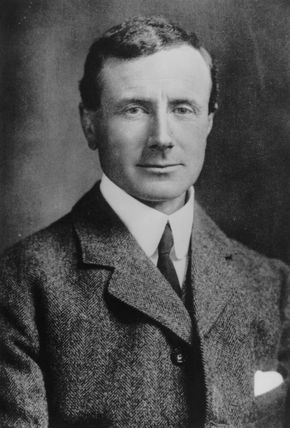 Wilson was with Scott on both the Discovery Expedition (1901�04) and the Terra Nova Expedition (1910�12).2 In respect to the Discovery Expedition, Wilson has been refered to as its zoologist; in the Terra Nova, Chief of the Scientific Staff, and Zoologist. Scott gave his views on Wilson: "Wilson as usual leads in the making of useful suggestions and in generally providing for our wants. He is a tower of strength ..." "ready and willing to give advice and assistance to others at all times; his sound judgment appreciated and therefore a constant referee." "Wilson, first as doctor, ever on the lookout to alleviate the small pains and troubles incidental to the work, now as cook, quick, careful and dexterous, ever thinking of some fresh expedient to help the camp life; tough as steel on the traces, never wavering from start to finish." If this letter reaches you Bill and I will have gone out together. We are very near it now and I should like you to know how splendid he was at the end -- everlastingly cheerful and ready to sacrifice himself for others, never a word of blame to me for leading him into this mess. He is not suffering, luckily, at least only minor discomforts. We should note that Scott wrote only to the wife of Wilson and the mother of Bowers, Wilson and Bowers being the last two with him in the tent where all three died of starvation in -40 temperatures and a wind, force 8, all about.